Throwing it back this Thursday to a whole Chris Young filled day! HOW #1: Had the day off, waited outside by his bus parked near the venue. 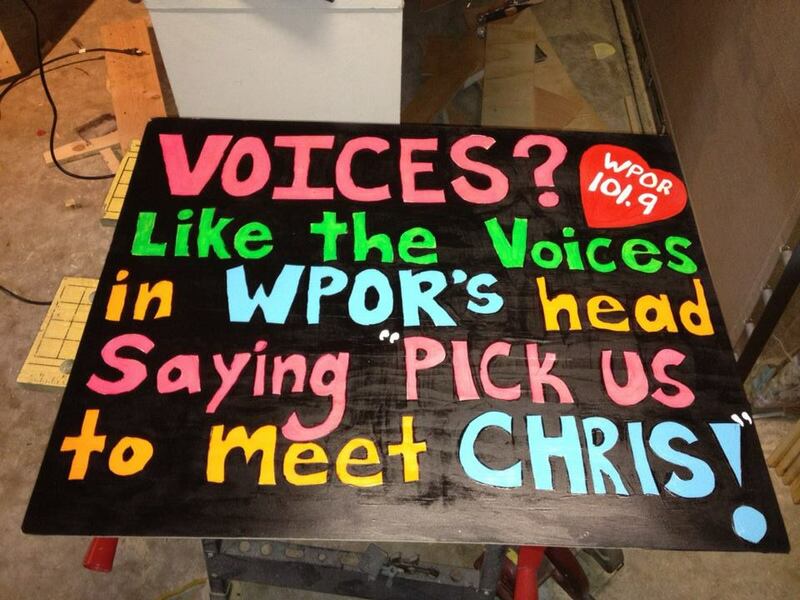 HOW #2: Created posters/signs and held them up in line for the WPOR “Secret Spy” to spot us. They chose a few lucky fans in line for the show to give away meet and greet passes to! So my friend and concert buddy, Morgan, and I decided to hang out in Portland for the morning in hopes of meeting Chris. We did not have guaranteed meet and greet passes for that evening’s show, so this was our best bet. We spoke with his (then) tour manager, Tracker aka Troy Johnson (@trackeratx) briefly and after about a half hour, Chris came off his bus and was headed to work out (he was wearing gym shorts and a cut off tank and it was FREEZING outside!). He was really nice and took the time to chat with us for a few minutes, despite being under dressed for the Maine weather. Fast forward a few hours, where we held this sign (below) in hopes of getting chosen by WPOR‘s “Secret Spy” and we were a couple of the lucky ones! I think we clean up well, don’t you? One of my local favorites, Amy Allen (Now, Amy & The Engine) had the wonderful opportunity of opening for Chris Young, and sadly our meet and greet cut her set a little short. Amy has an immense amount of talent, a beautiful voice, and the drive to be constantly pushing her career further. You’ll be hearing more of her in the future! 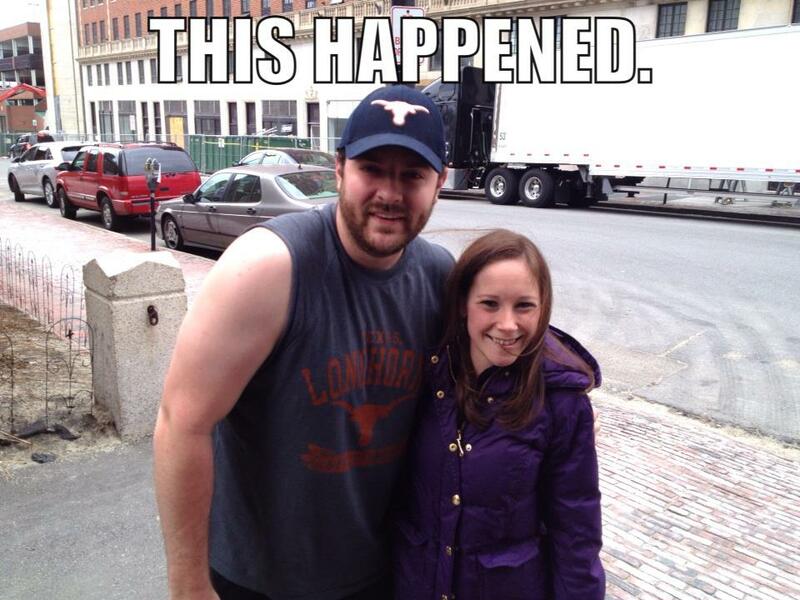 She is already huge in New England! After Chris Young’s set, I went to talk to his sound guy (front of house/audio engineer) Gary Lewis. 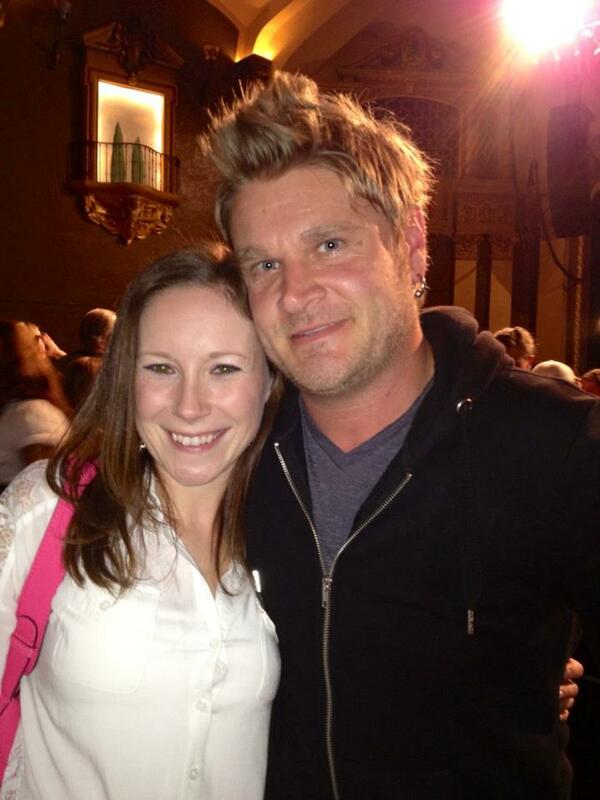 We chatted about how long he’s been with Young and what the after party plans might be, haha. Shots with Chris Young’s crew! PS. Steve from Australia (@stevefromaus) was super proud of his $6 Goodwill find… that stylish brown shirt! Hahaha good times! Definitely my kind of day! I had just returned home from the best weekend of my life at the ACM Awards in Vegas and I was still on that high of meeting everyone that I could. It was my first time meeting Chris Young and also my first time seeing him in concert! Thanks for the Meet & Greets, WPOR 101.9!